Faisal Shahzad, 30, was arrested Monday night as he prepared to fly to Dubai and then on to Pakistan, officials said. Islamabad, Pakistan (CNN) -- The father-in-law and a friend of the suspect in the Times Square car bombing attempt were among several people detained for questioning in Pakistan this week, sources said Wednesday. Iftikhar Mian, the father-in-law of suspect Faisal Shahzad, and Shahzad's friend Tauseef Ahmed were picked up in Karachi on Tuesday, two intelligence officials said. Several officials in Karachi said others have been taken into custody for questioning Wednesday. One of them was identified as Muhammed Rehan, who was detained Tuesday in Karachi's North Nazimabad district, according to an official speaking on condition of anonymity. Rehan is suspected of driving Shahzad, a 30-year-old naturalized U.S. citizen from Pakistan, to a meeting in July with at least one senior Taliban leader in Pakistan, a senior Pakistani official said Wednesday. Shahzad has been charged with attempting to use a weapon of mass destruction, acts of terrorism transcending national boundaries, and three other counts in connection with the Saturday night incident. He was arrested at New York's John F. Kennedy International Airport late Monday after boarding a flight bound for Dubai, United Arab Emirates. Charges filed Tuesday in the United States against Shahzad paint him as a would-be terrorist who sought explosives training in Pakistan's volatile Waziristan region, where government forces have been working to root out Taliban militants. 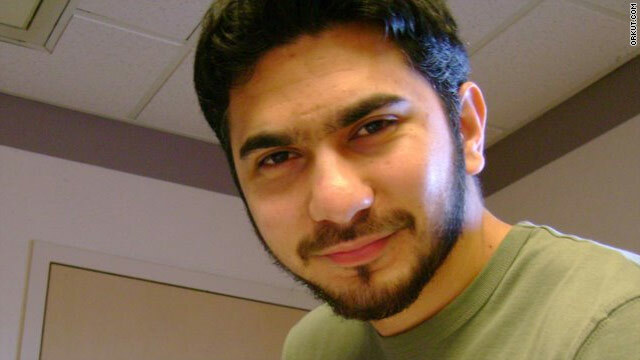 The court documents show that Shahzad apparently continued to have contact with Pakistan upon his return to the United States, receiving a series of 12 phone calls originating from his country of birth in the days leading up to the incident, five of which were made on the same day he bought the Nissan Pathfinder used in the attempted attack in Times Square Saturday night. A Pakistani Taliban spokesman said Wednesday that his group has no link to Shahzad but called his actions "very good." He warned that its fighters have been sent to the United States and the "results" of that decision will soon be evident. Azam Tariq, spokesman for the group, said by phone Wednesday that the Pakistani Taliban recently decided that it "will defend Islam by any means necessary" anywhere Muslims are deemed to be in danger. "Right now, America is the biggest enemy of Islam. We have sent our mujahedeen to America, and you will soon see the results." Although it's possible he got training from other groups, Tariq said that Shahzad didn't receive such instruction from his organization, officially known as Tehrik-i Taliban Pakistan. A Pakistani official said that Rehan, the friend of Shahzad's who was arrested this week, is believed to have links to the militant outfit Jaish-e-Mohammed, an ally of al Qaeda and the Pakistani Taliban. The official said Rehan drove Faisal Shahzad 7 in a pickup to Peshawar on July 7. At some point, they headed to the Waziristan region, where they met with one or more senior Taliban leaders, the official said. If convicted, Shahzad could get life in prison on the charges. Shahzad has waived his right to remain silent and his right to an attorney, and is cooperating in the investigation, a source familiar with the investigation said. Shahzad, 30, a naturalized U.S. citizen from Pakistan who was living in Connecticut, was arrested at New York's John F. Kennedy airport late Monday. CNN's Samson Desta contributed to this report.